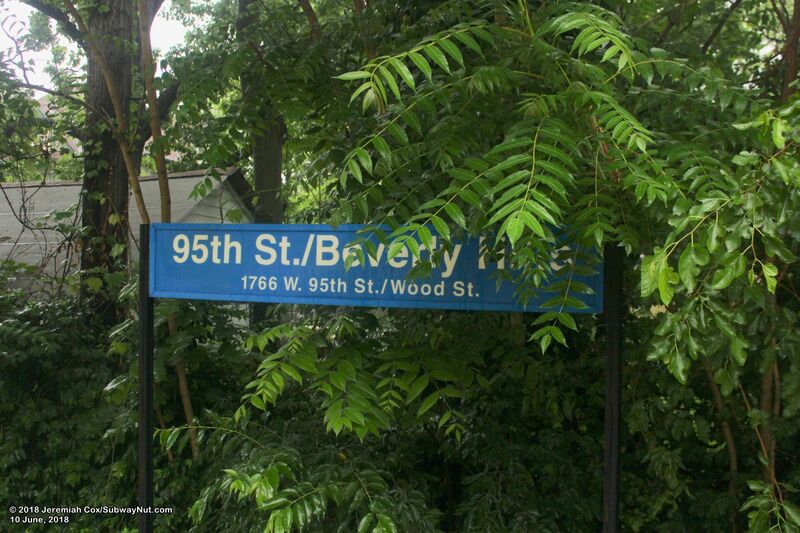 95th Street-Beverly Hills is the stop with the newest (built in 1945) but still historic station house in Beverly Hills. 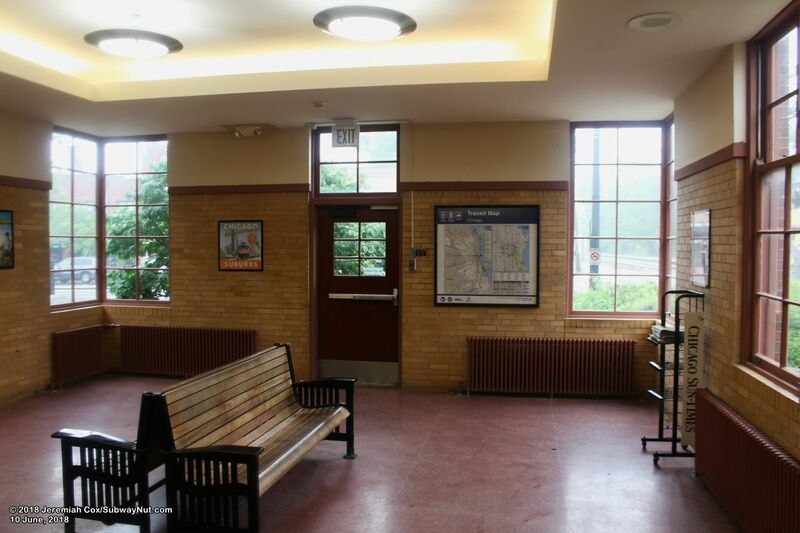 The brick building was designed by John Fugard and Co. Architects and became a Chicago City Landmark on April 15, 1995 as some plaques on the platform say on commemorating the station's 2000 renovation. 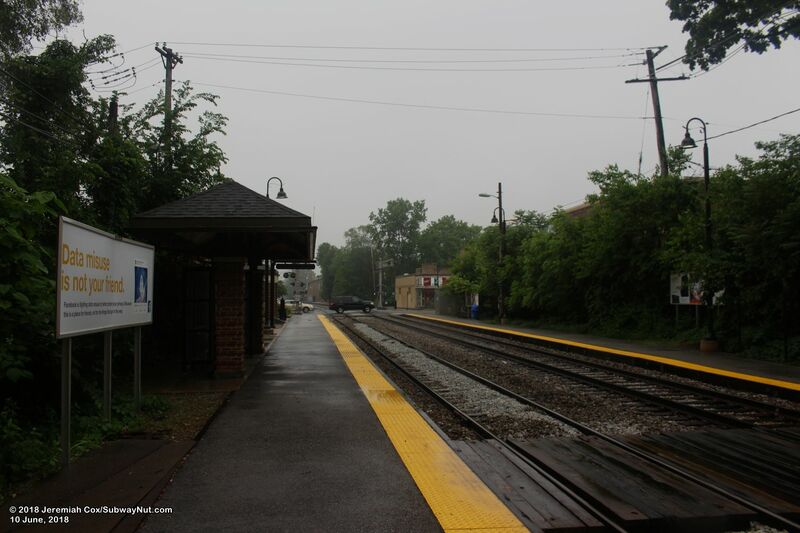 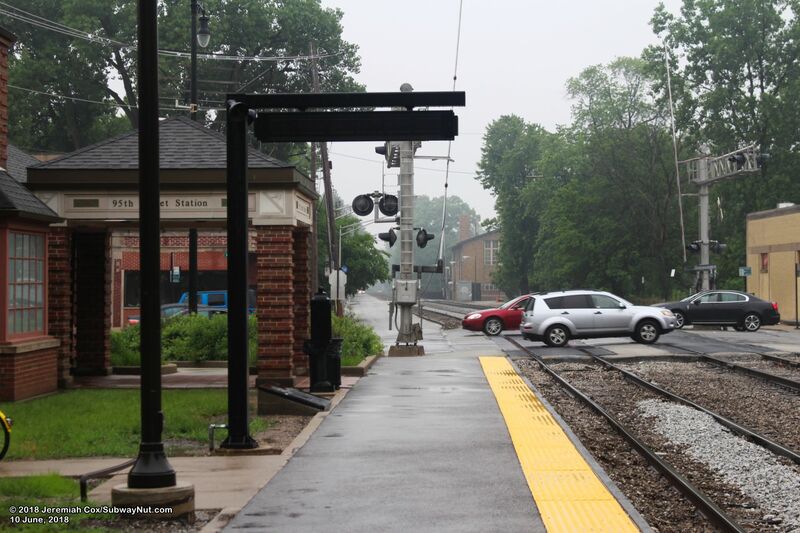 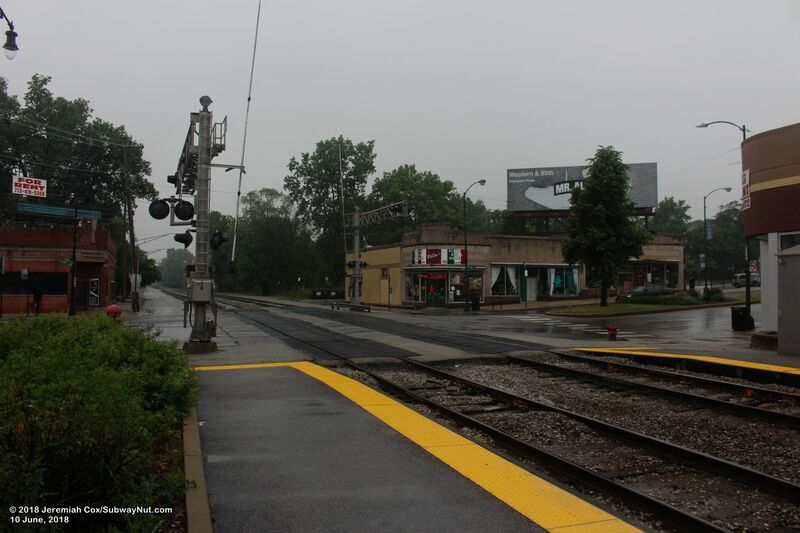 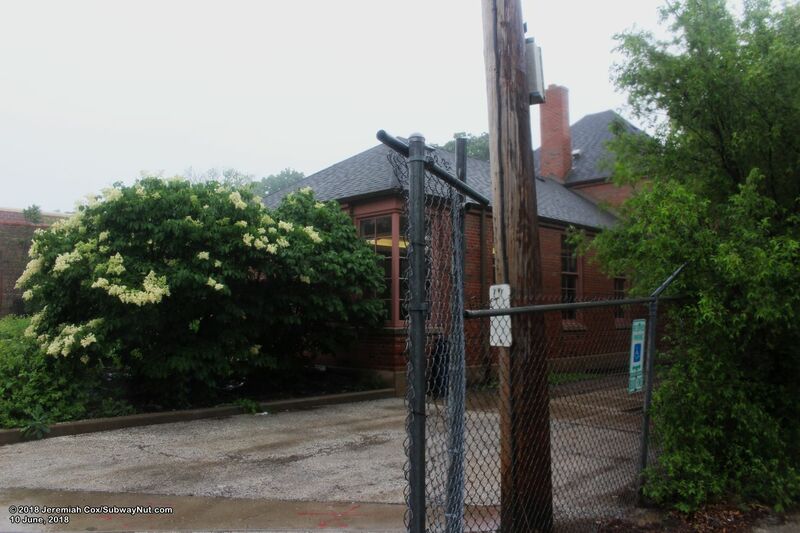 The plaque reads, "This is a rare example of a grade-level, commuter rail station in Chicago. 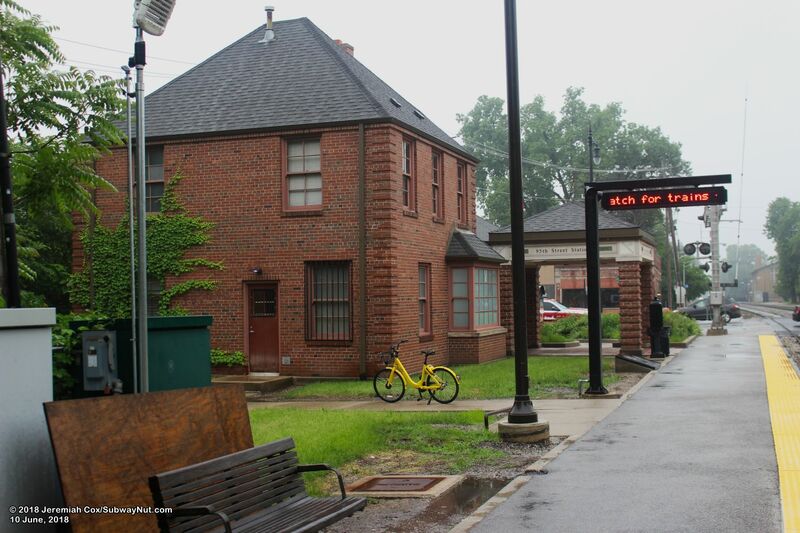 Stations such as these helped promote the development of many of the city's outlying areas. 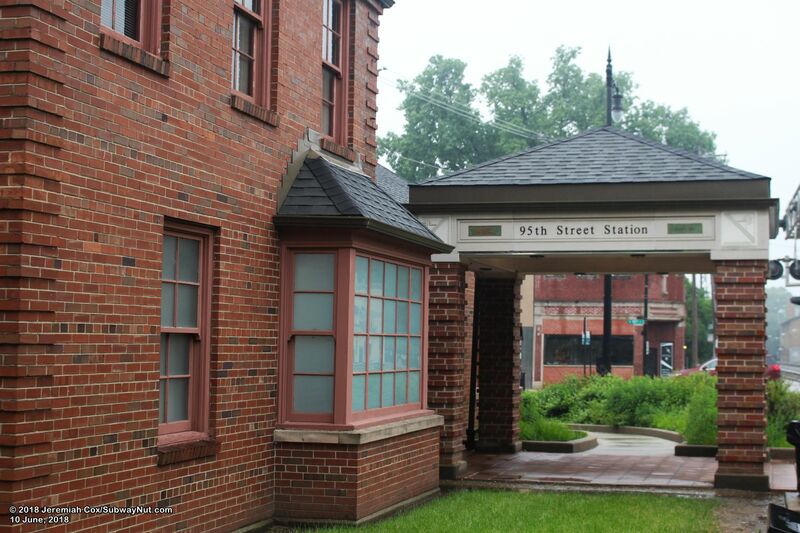 The design of this building which replaced an 1890 station, reflects the Colonial Revival style of many of the surrounding residences." 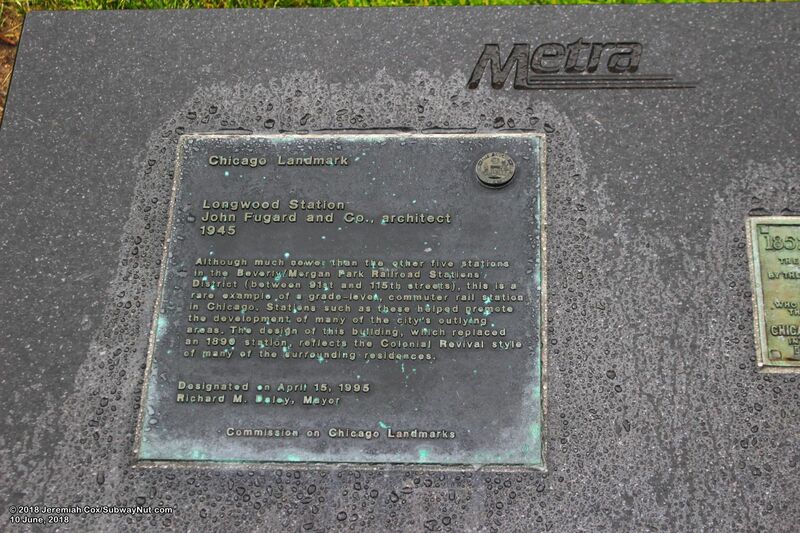 Next to this plaque (located on a headstone-like display on the La Salle Street-bound platform) is an older plaque dedicated in 1922 for a tree planted nearby by the Rock Island in Affectionate Memory of Asa R. Swift, who by his industry courage and locality through every vegissitude signally aided in the development of the Chicago Rock Island & Pacific (it ever reached the Pacific) Railway into a great transportation system devoted to the public service. 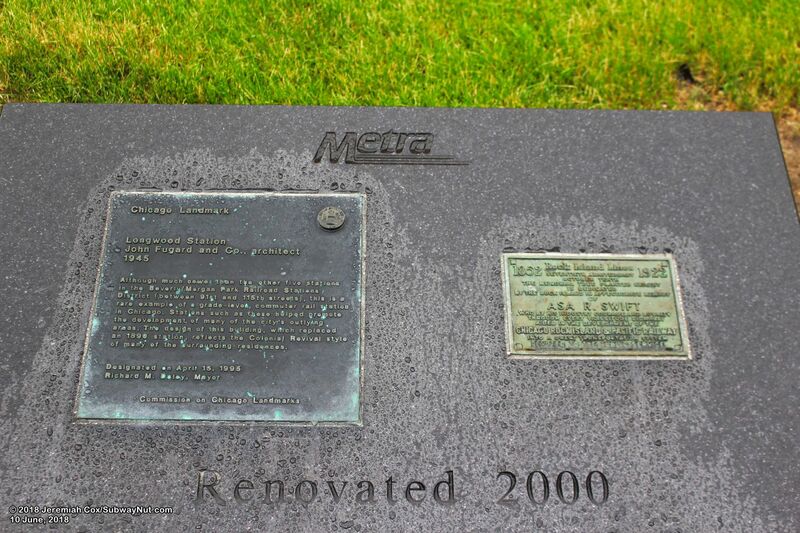 There is very little internet information on Mr. 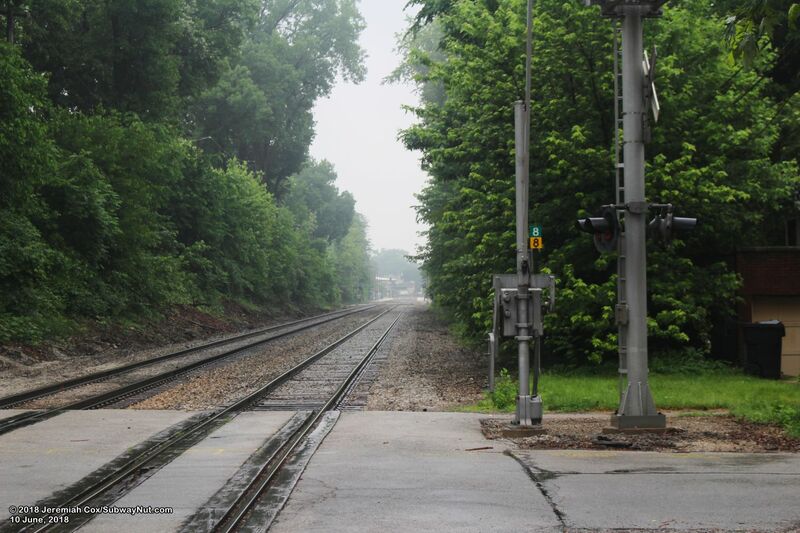 Swift except for a reference that he was the superintendent of telegraphy in 1888 for the Rock Island Railroad. 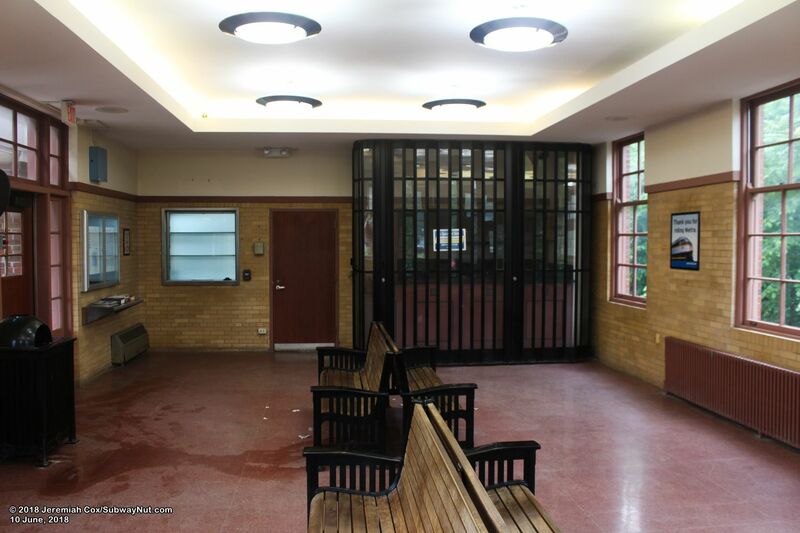 The station house contains a decent sized waiting room with brick walls in the same style as the rest of the station. 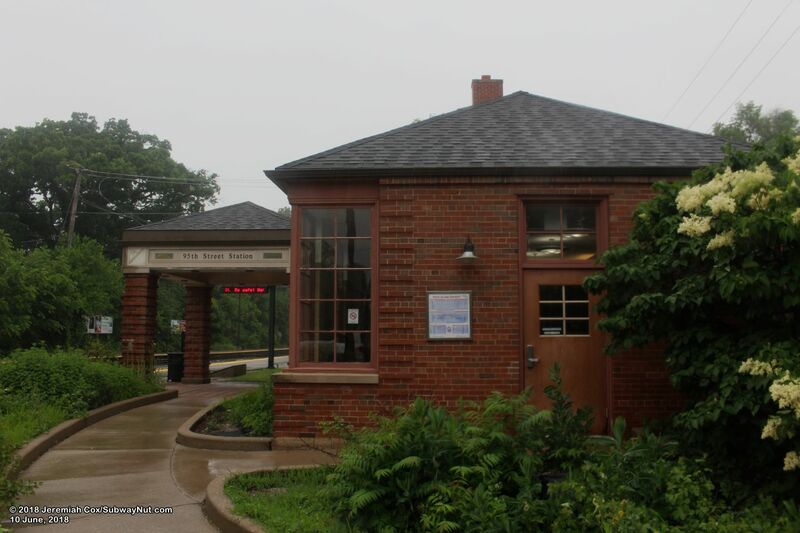 There are a few benches in it, and a newsstand that's for lease. 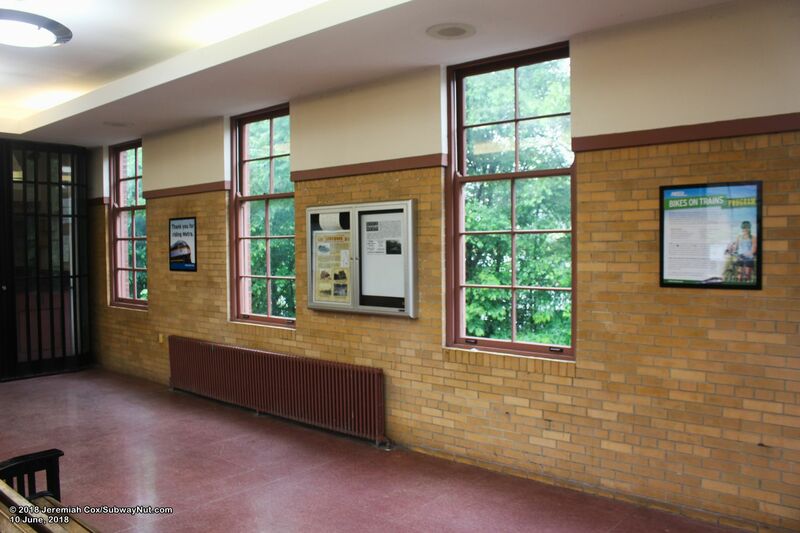 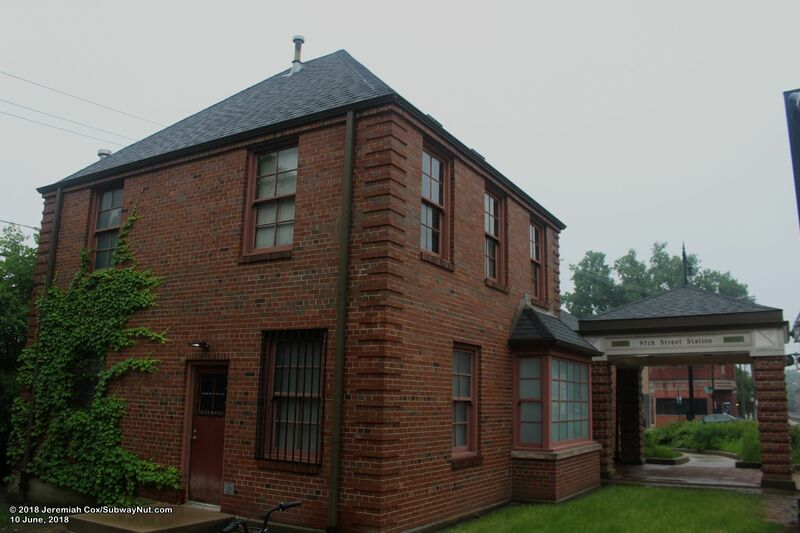 The casement windows have brown trim similar to the exterior. 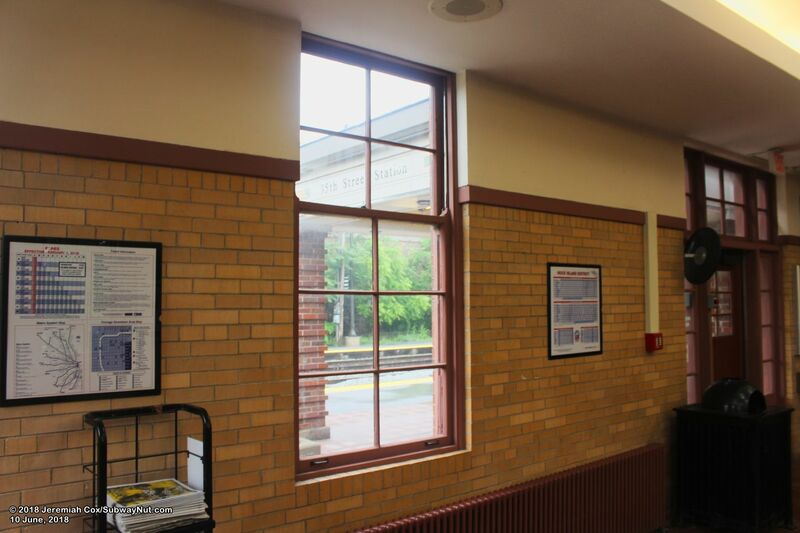 The station had a ticket window that closed on March 14, 2016 due to declining ticket sales. 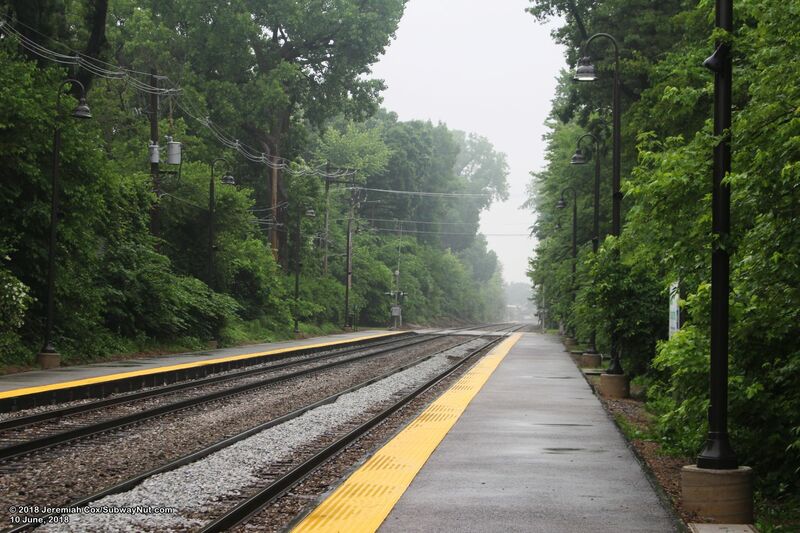 The station has two side platforms that run from the grade-crossing of 95th Street north to the grade-crossing of 94th Street, with trees primarily the backdrop along each platform. 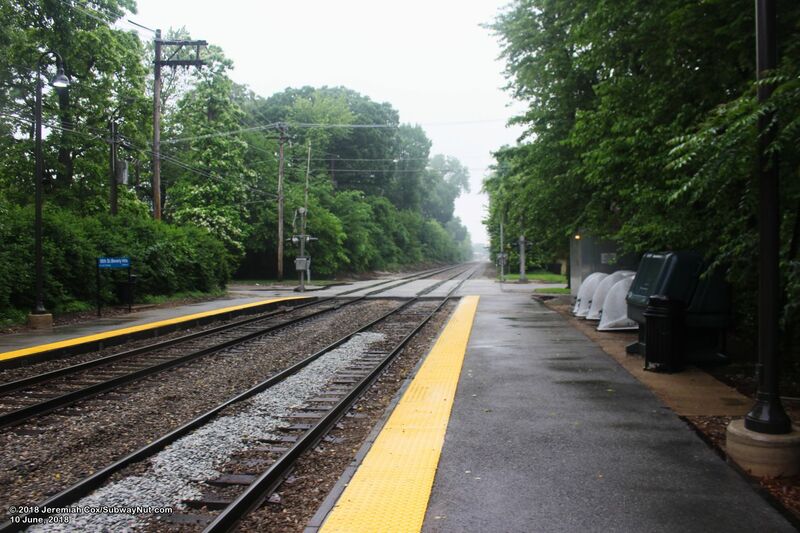 Another wooden pedestrian crossing is towards the southern end of the platform. 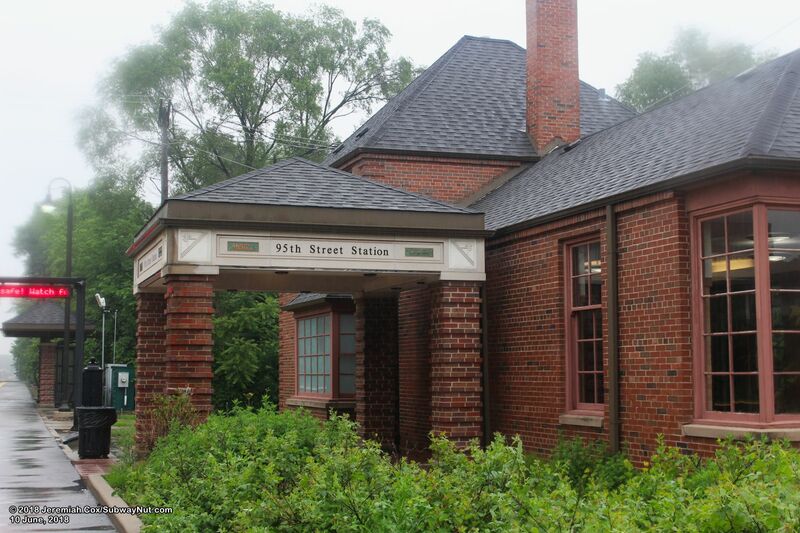 The depot is located at the corner of the northbound platform and 95th Street. 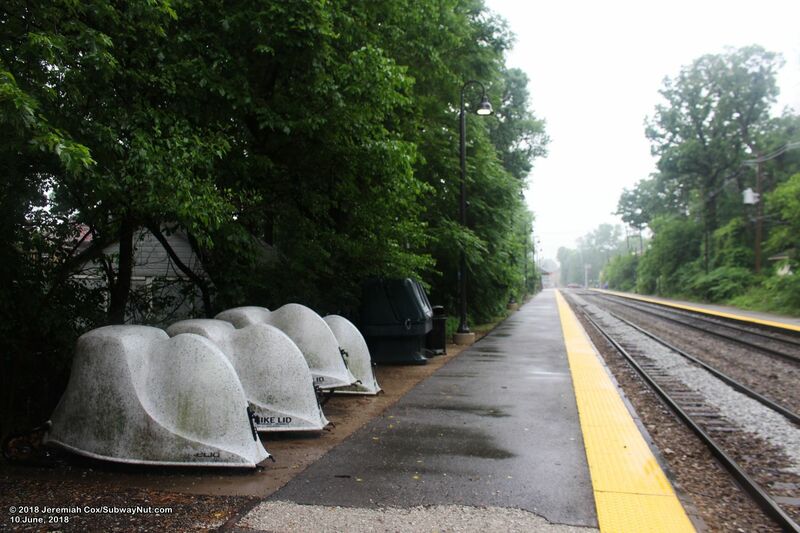 The only other platform amenity is a small shelter structure with brick beams holding up a gabled roof covering windscreened benches, along the Chicago-bound platform just a bit beyond the depot.